5" Silk daisy head mounted on a 3.25" foam disk. 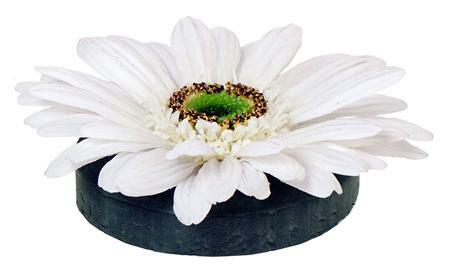 Great for vases, ponds and fountains. Floating Water Lily - 8"
8" Silk water lily mounted on a plastic 'leaf' base. Ideal for vases, ponds and fountains. 4 colors - light pink is not shown.